Add to calendar 05/29/2018 05/29/2018 Europe/Brussels ZERKALO QUARTET in LO-art + apéro LO-art in Lodzkie House | Brussels & its artistic director Barbara Drazkov Drążkowska are happy to host and present an internationally acclaimed, Brussels-based ensemble ZERKALO QUARTET! There will be 2 Polish compositions in the programme, including a WORLD PREMIERE of a piece written especially for Zerkalo Quartet by SZYMON BRZÓSKA. Szymon Brzóska | String Quartet "Timor Officit" [2003/2017] WORLD PREMIERE! 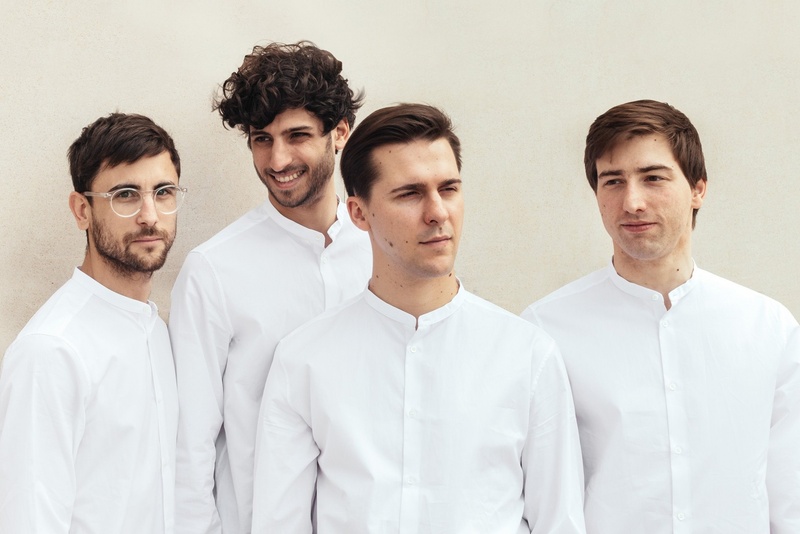 LO-art in Lodzkie House | Brussels & its artistic director Barbara Drazkov Drążkowska are happy to host and present an internationally acclaimed, Brussels-based ensemble ZERKALO QUARTET! The Zerkalo Quartet is a string quartet based in Brussels. Since its creation in 2014, the musicians of Zerkalo have immersed themselves in the daily buzz of the Belgian capital, striving to establish a close connection with the people. They do this by expanding the codes of classical music and exploring its place in society today. Zerkalo Quartet stands for: a wide range of the string quartet repertoire, from its roots until today, with an emphasis on contemporary creation, interaction with other artists and artistic disciplines, alternative concert formats, and workshops with children. The work of Zerkalo Quartet has been critically acclaimed with awards such as the Supernova 2014, Vocatio 2015 and the Honourable Mention of the Jury in the Janaçek Competition 2015. Zerkalo Quartet has performed at prestigious venues and festivals in Belgium like BOZAR, Concertgebouw Brugge, Klara Festival, Ars Musica, and Midis-Minimes as well as at festivals and concert halls abroad (France, Germany, Italy, Spain). LO-art is a new artist-in-residence programme for Polish artists in Brussels, created by pianist Barbara Drazkov Drążkowska and based in Lodzkie House in the heart of town. LO-art not only invites artists from Poland to stay, work and get inspiration in the European capital's environment, but it also opens its doors to local artistic community by organizing concerts, exhibitions, workshops and film presentations.